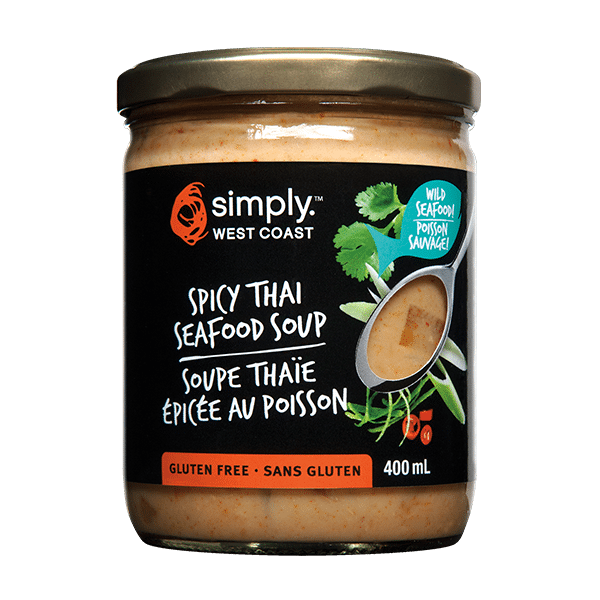 You’ll love the colourful and aromatic combination of exotic flavours like lemongrass, galangal, red curry paste and Kaffir lime. Winner of Natural Products Expo West, Nexty Awards 2018. Coconut Cream, Albacore Tuna, Water, Fresh Red Potatoes, Fresh Carrots, Fresh Onions, Fresh Bell Peppers, Red Curry Paste (Dried Chili, Garlic, Lemongrass, Salt, Shallot, Galangal, Shrimp Paste, Kafir Lime Peel, Pepper), Fish Sauce (Water, Anchovy Extract, Salt, Sugar), Sugar, Tapioca Starch, Coconut Oil, Fresh Jalapenos, Fresh Garlic, Sea Salt, Fresh Ginger, Fresh Cilantro, Fresh Lime Juice.